We currently have a number of quality refurbished mailing machines available direct from our own stock and available to view at our Ilkeston workshop. These include Buhrs BB300's and BB600's, Pitney Bowes 8 Series and F500 systems, Bell & Howell Vitesse and Philipsburg machines and much more. Year 2004, 6 Station machine with 6 x RF2 Rotary Insert Feeders, 1 x RF2 Envelope Feeder, Siemens Touch Screen Controller, Inserting Module, Divert bin, Sealing Station, 2.3m Output Conveyor, Sizes DL, C6, C5, Maximum 14,000cph. Year 2004, 6 Station machine with 5 x RF2 Rotary Insert Feeders, 1 x SF2 Friction Feeder, 1 x RF2 Envelope Feeder, Siemens Touch Screen Controller, Inserting Module, Sealing Station, 2.3m Output Conveyor, Sizes DL, C6, C5, Maximum 14,000cph. Year 1997, 6 x Intelligent Friction Type Insert feeders with selectivity function, Hi-Capacity Sheet Feeder with OMR reading function, Dual Deck Accumulator with in-line Folder, Envelope Feeder, Inserter Module, Sealing Station, Divert Bin, Edge Marker, Output Conveyor, Sizes DL, C6, C5, C4. Year 1997, 8 x Swing Arm Insert Feeders, 1 x Shuttle Envelope Feeder, Inserter Module, Sealing Station, Output Conveyor, B&H IUI Operating System with Keyboard and monitor, Sizes DL, C6, C5. 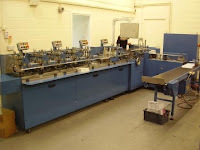 Year Circa 1985, 4 x Swing Arm Insert Feeders, 1 x Envelope Feeder, Inserter Module, Sealing Station, Turnover Carousel, Output Conveyor, PLC Push Button Control, Sizes DL, C5, C4. Fully rebuilt system with latest upgrades, essentially 2012 machine. Year 2004, Input conveyor, weighing scales and divert bin. Astrojet 1000 Inkjet Addressing Printer, integrated feeder and delivery tray. Includes PC and operating software. 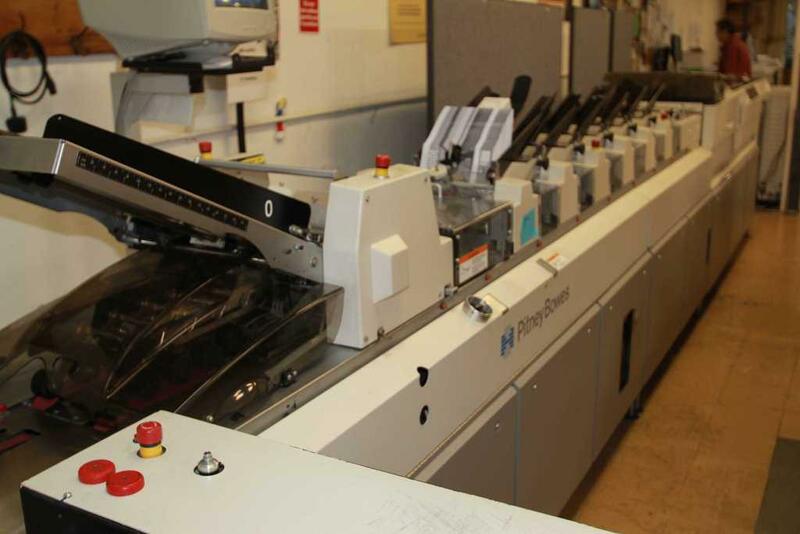 Renaddress DA 508 Inkjet Addressing Printer, integrated feeder and delivery conveyor. Installation and delivery available on all of these machines, please contact us for further details.